Do you need a Financial Aid appointment? Now you schedule appointments online! 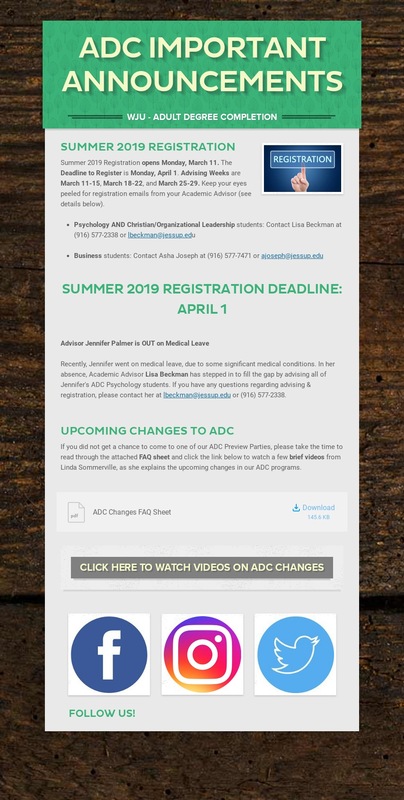 Click the link below to see your counselors’ availability and schedule your appointment. Your Financial Aid Counselor is Desiree Cox. Please contact her at (916)577-2235 or dcox@jessup.edu. Desiree is also WJU’s VA Certifying Official. Please also visit http://www.jessup.edu/sps/financial-aid to learn more about the specific financial aid programs available at WJU and feel free to contact her at any time with your questions and concerns. She looks forward to serving you as you continue your education with us!